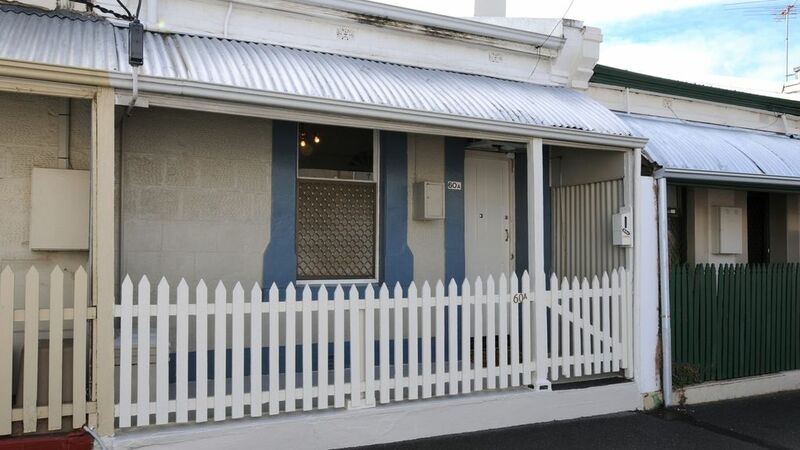 Located in the South East E corner of Adelaide City (South Australia) Cottage SixtyA is a great place to stay. It has the space so you can spread out and be comfortable. Cottage SixtyA is a 1 bedroom fully furnished and fully equipped Cottage. Cottage SixtyA is suitable for a family, holiday or business stays. Cottage SixtyA is part of Harriett's Cottage Accommodation. Large bathroom space with shower. Small step to enter. Thoroughly enjoyed the stay and accomodation was excellent. Clean affordable and homely. I thoroughly enjoyed our stay and the location was excellent close to all facilities like the CBD and shops. Having our own space allows us to enjoy the stay. BBQ was excellent for having home cooked meals. Totally recommend to anyone. Looking to stay again. We stay here for at least 5 nights every year. Ideal location, homely and fairly priced. Great host is Rob, always so helpful and caring. We have stayed in Rob and Ann's properties for 12 years and hope there are many more. We only stayed a couple of night in this little workers cottage not far from the east-end markets. Its in a great location -- just around the corner from some of the best cafes, restaurants, and pubs in Adelaide. The parklands are nearby too, so its great if you have a dog or just like walking. The cottage itself is simple but very comfortable. After a long drive I really appreciated the comfort of the hotel quality bed. Parking in the street is tricky but there is plenty just around the corner. We'd be happy to stay here again. Thank you for your feedback and I am pleased you enjoyed the stay. You are right about the parking and we are always trying to get some better options for guests. We have worked with the Adelaide City Council to get the 4 X 24/7 parks in the street (which we have to share with others) and we continue to try to work with them to allow the parking permit we supply to be valid 24/7 in all the local parking spaces. (They again are reviewing this matter.) Thanks again for the feedback.